Holiday Cookie Baking Tips | TidyMom. 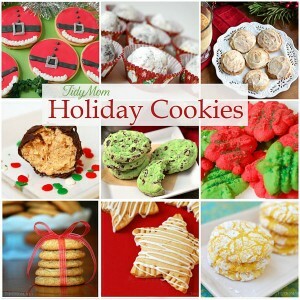 Wow, Holiday Cookies, Tips, Videos and Links to more – all in one place. While not gluten free, not everyone on your list has those limitations. Just be careful in preparing them separately. Christian wife & mother. Striving to continually learn and share with others. This entry was posted in Food - Recipes & Info, Food Blogs and tagged collection, cookies, create, food blog, information, recipes, Tidy Mom, Tips. Bookmark the permalink. ...sharing everyday recipes from my gluten free kitchen with a side of life.